ABDUL JAWAD HAMAM was born in Homs, Syria in 1979. He completed his Primary and Secondary education in Homs. In 2001, he graduated from Sharia college at Damascus University. In 2007, he had a master in Sharia, Hadith sciences specialization, from Sharia college in Damascus University with 90 degrees. In 2008 and 2010 he got Education Qualifying Diploma, and Human Resources Management diploma from Damascus university too. In 2014, he got his PhD in Sharia, Hadith sciences specialization, from Sharia college at Damascus University with 94 degrees. Dr Hamam who is Licensed in Quran with two Riwayat, Hafs and Shuba transmitted from Asem was a Mosque Preacher and Imam in Homs. Dr Hamam was a teacher of Islamic Education from 2001 to 2009 in Syrian schools, and he was a member of the board of developing Islamic education courses in the Syrian Ministry of Education from 2009 to 2014, he worked as a Lecturer of Hadith in both Fath Islamic Institute from 2010 until 2014 and in Damascus University from 2013 to 2014. 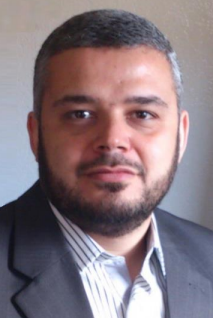 He moved on to Turkey where he worked as The Educational Supervisor at the Shamona School in Istanbul and Arabic teacher at the ILK EMER Turkish school from 2014 to 2015, a Lecturer at Bashakshahir Academy of Arabic and Islamic Sciences in Istanbul from 2015 to 2016 and Lecturer of the Prophet's Hadith and The Study of Hadith Terminology at the Higher Institute for the Preparation of Muftis and Preachers in Turkey from 2015 to 2017. Currently, Dr Hamam is a Lecturer of the Prophet's Hadith and The Study of Hadith Terminology, and Arabic language at the Faculty of Divinity (ilahiyat), Marmara University Istanbul. He has a long experience in heritage research and publication, where he published several books as he was the author of many books including “The Particularity in Hadith Narrating” in addition to verification of many books.